yay! thanks so much to all of you cutiepies out there who entered the lastest rikrak giveaway: win a bundle of 20 vintage fabric fat-quarters! woohoo! i superdooper appreciate your kind, 1st bloggy-birthday best wishes, nicies. it means so much to me to read your thoughtful, helpful feedback, too! you sweeties are the best! so... thanks to random.org, we have a lucky winner! the prizepack goes to....#391 ... wzgirl = the fabulous buttercupbloom! wooohoo! i'm such a fan of this eco-forward wonderwoman! i just can't WAIT to see what she might use the fabrics to recraft! be sure to visit her wonderful + warm shop filled with truly *thoughtful upcycling! * love her plushie owls, elephants + bunnies so much! congrats! and yay, cause she's a true nicey, too! and thanks to everyone who entered! by the way, don't forget to head on over to the *handmade olympics* lickity-splitly to enter your own + others work in EACH of the 8 events! 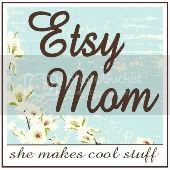 --> there are over $2000 worth of handmade prizes waiting to be won! yay nicies! and happy repurposing! 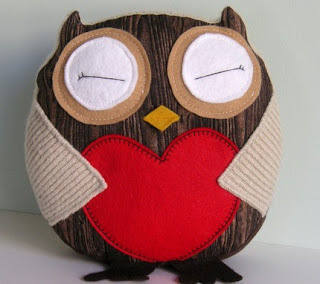 Big congrats to Buttercupbloom ~ her shop is lovely and that owl is certainly a sweetheart! OMGosh...I feel suuuuu-u-u-per lucky today! Thanks so much kristal-k! You'd better believe that I'll let you know what i conjure up with your beautiful fabrics!